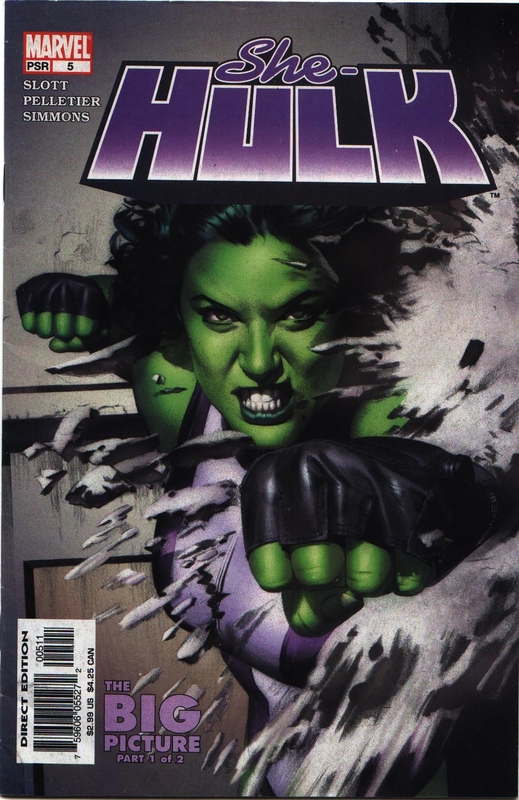 *What is She-Hulk smashing on the cover? Concrete? A gallon of milk? Whatever it is, she doesn't like it. I like her weightlifter gloves though. *This issue has a cameo from The New Warriors. As a writer, Slott clearly delights in playing with all the toys in the Marvel toybox. *There's an ad for a Justice League cartoon movie inside. Apparently, Time-Warner, owner of DC Comics, was so desperate that they actually advertise their products in comics by their major competitor, Marvel. Actually, this probably isn't a bad idea (someone reading She-Hulk probably likes Superman and the gang as well), but it's still a bit weird.